I can count on the fingers of one hand the number of times I have met people who have left a deep and lasting impression on me. I’m not one to be distracted by external symbols of power such as wealth, looks and influence. For someone to stand out in my eyes, the individual has to have something more genuine and profound. They should possess a special essence – that je ne sais quoi, as the French say. These are the kind of people who effortlessly radiate compassion, empathy, humility, and have a general sense of goodness about them. You feel instantly at ease around them and you know that you can count on them in times of need. These subtle traits are not something that you can find listed on a resume or a bio – it’s an understated quality that you sense in an individual only by meeting them in person. For the longest time, I lacked the right language and words to define the constellation of traits that make up the character of these evolved individuals who I respected so deeply. It was not until I came across New York Times columnist David Brook’s book, The Road Character, that my understanding of this idealized persona deepened and solidified. According to Brooks, we now live in a society that encourages us to focus on our career and ambition without providing us with any guidance on how to cultivate a rich and meaningful inner life. We’ve learned how to promote and advertise ourselves and seek the skills needed for success while neglecting to cultivate critical character-building traits such as sympathy, humility and honest self-confrontation. There’s a tangible lack of soul in ego-driven people who are solely focused on pursuing self-interest and getting ahead of everyone. A shallow existence like this can make us lose sight of the deeper truths of life, our priorities and a value system to anchor your spirit. There are countless examples of famous figures who have lost their way because they allowed fame and fortune to get to their heads. 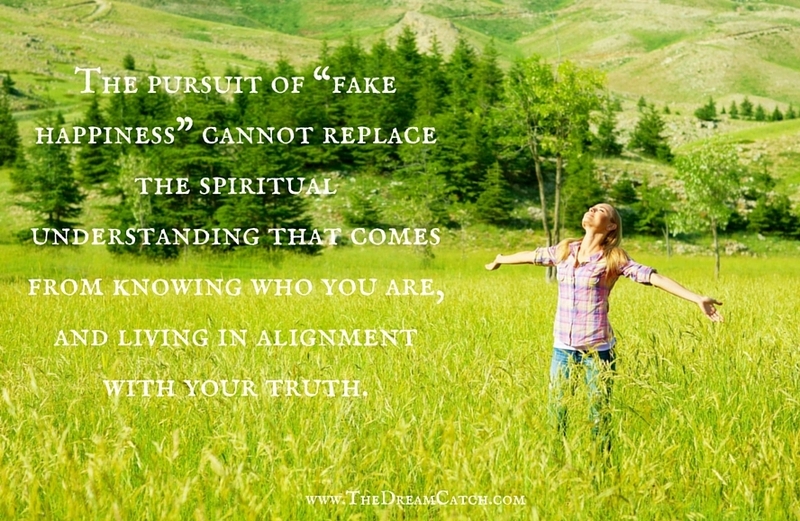 They soon discovered that the pursuit of “fake happiness” cannot replace the spiritual understanding that comes from self-reflection. No amount of drugs, alcohol and toys will take the place of a personality ground in love and authenticity. If you have ever had the privilege to meet a person of depth and character, you’ve probably noticed that they possessed an inner cohesion and a sense of being rooted. You can tell that they’ve been through some tough times and, as a result, they have developed an implicit belief in their abilities. Pivotal figures such as Gandhi, Mother Teresa and Abraham Lincoln epitomize this power because of how they fearlessly championed what they believed in from a place of courage and compassion. Like master alchemists, they transformed fear and animosity into love and benevolence. Author and spiritual teacher Gary Zukav calls this authentic power, which is the power that one radiates when their personality comes fully to serve the energy of their soul. That’s not to say that we should give up all our material desires to be considered a good person. We can still hold onto our worldly ambitions, but during that process, we need to be vigilant about the kind of person that we’re becoming. While pursuing our goals, we must give priority to molding a value system and becoming a person of substance and depth. 1. Find role models and mentors: You are the average of the five people that you spend the most time with. Based on this logic, if you aspire to become a person of character, you would want to hang out more with people who exhibit those qualities. Seek out mentors and role models in your workplace, industry or community who you deeply admire, and finds ways to be in their presence on a regular basis. You don’t have to imitate exactly what they do but simply extract those aspects of their personality that you would most like to emulate. 2. Stay accountable: There’s absolutely no way that you can develop a solid identity if you cannot be accountable for your actions and decisions. We have to become keen observers so that we can keep close tabs on our reactions and the choices that we make. It’s only by doing this that we can achieve an objective perspective on things that we need to improve on to further our progress. Keep track of your observations and thoughts in a journal or speak about it with a trusted friend or coach. Remember to be kind to yourself when you do this and to not judge yourself harshly. 3. Invest in your personal growth: Even though all human beings are born into this world with a basic sense of morality, it’s our duty to build on this ethical foundation and maintain it throughout our life’s journey. This can be accomplished by involving ourselves in personal development and activities that boost self-awareness. This includes reading books, going on retreats and workshops, and consulting a mental health or spiritual professional or coach when needed. Engaging in these activities will help you grasp both the depth and breadth of life and how it relates to the many nuances of your inner psyche. 4. Don’t be afraid of challenges: Adversities and setbacks are what truly build character. If you have been through some rough times, it’s important that you reflect on what happened and learn from the difficulties that you encountered in the past. I also suggest setting up challenges for yourself to get you out of your comfort zone on a regular basis. Agree to take up that difficult work assignment or sign up for that grueling class at the gym. Tackling these challenges will strengthen your courage muscles and self-confidence over time. Remember that there is nothing more powerful than experiential learning. 5. Be selfless in your approach: A person of character has a heart of gold and always comes from a place of service. They have the capacity to really listen to people and be totally present with them. To attain this level of personal evolution, we have to reach a place of genuine compassion where we can think beyond our own needs. We have to be able to connect with our fellow beings and treat them with dignity, respect and kindness (as long as they don’t harm us or our loved ones). Meeting a person of character can be exhilarating. Being in their presence is as comforting as a cool breeze. A gentle and caring presence yet a strong and impressive. Wouldn’t it be great if others could feel this way about us? Question for you: Do you have anyone in your life who demonstrates an exceptional character? What can you learn from them? Wow thank you for saying exactly what I have been wanting to say for a while. 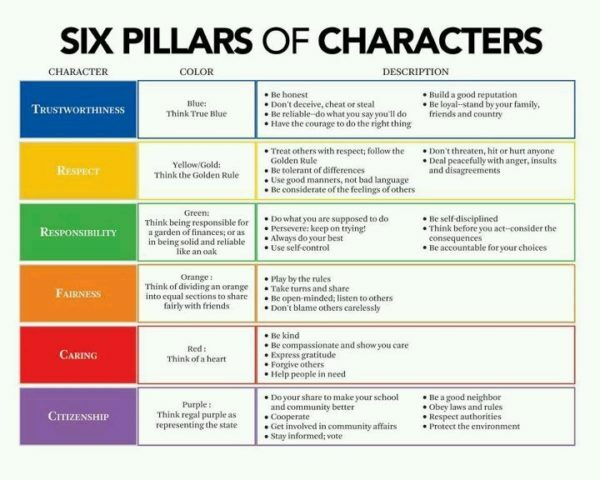 Character is so very important and far too many people are lacking it today. This needs to change and soon! This article is so important! No truer words have ever been spoken Seline! The more time I spend online the more I come to realize this. People can make themselves appear anyway they want by what they say online but once you are around them and see them in the real world day in and day out and see how they react to situations and how they treat others…. THEN nyou know what their character truly is like, It is indeed something that can not be faked! Thanks so much for sharing your thoughts.